If you are looking for a little more “Glorias” in your La Gloria, then try the EXTRA! You get the same great full-bodied dark premium flavor in a slightly larger length and ring gauge. Super-size today, with the Glorias Extra Maduro by La Gloria Cabana. Sorry, No large Fries come with your order! Packaged in a box of 25. This is my favorite LGC stick. Sometimes the draw is a little tight, but the robust flavor more than makes up for it. Really a good pick no matter the occaison. 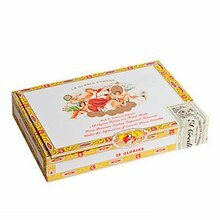 Last time I smoked one I ended up smoking a lighter cigar afterwards thinking a second LGC would be too much, but I regretted it - it leaves you wanting another, and that for me is the mark of a really good cigar. Best tasting cigar I have tried yet. Thought I had my go to smoke. Second and third out of a 5 pack were unsmokeable due to no draw. Ordered a modus tool. This is definitely a full-body smoke. You'll get some deep and rich leather, oak, and pepper tones from the first third and frankly quite enjoyable. As you make your way past the first third, the flavor definitely drops off though. Becoming more of a harsh, ashy taste. Maybe a bad batch, but I'm not sure I'll be trying again. Awesome smoke! Enjoyed the flavor blend and richness. Smoked consistently and even. Good draw and nice smoke out put. I will recommend this cigar and definitely will smoke another one this week. 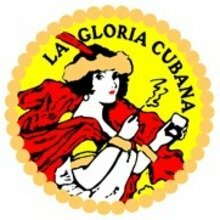 la gloria cubana. I am normally not a fan of this brand, but this one was good. it is not the best, but it is a good smoke. I would like is the draw were better. what it lacks in that it dose make up for in the flavor. something I did not like half way though the stick the flavor changed. it was more bold. if you like that , but I do not like it I want a good consistent smoke. This Gloria is a flat out keeper ! If one is a fan of Ecuador Sumatra wrappers this will be a great discovery! I find some of the Gloria's to have a kind of "nutty" taste like Romeo's that i don't care for but this one is full of solid old-Cuba tobacco taste. Add that to the almost perfect size- 6 inch by 46 ( i dislike those chokers in the fat gauges) and it is a delicious enjoyable cigar for any time. Dark, earthy, cocoa flavors..good everyday cigar. At the price point, you can’t beat it. 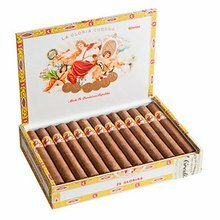 The la Gloria Cubana has always been my go to smoke full flavored with excellent construction I have these at least 3 times a week truly love everything from LGC. A nice smooth and slightly woody and sweet cigar. Decent burn but it had to relight it a couple of times. my wife's favorite cigar she smokes them pretty much everyday the smoke output is amazing flavor is top-notch. I can't say enough about this cigar. Perfect size, construction, flavor, smell. Perfect all around cigar to smoke any time, any day. This is a great smoke. Full bodied. Great chocolate, coffee, nutty notes with a little bit of spice. Enjoy one of these in the afternoon with a nice cup of coffee. Another great cigar from La Gloria. Great full body cigar. You won't be disappointed with this one. Smooth cocoa kind of flavor. Pretty good flavor is kind of on the airy side. Good draw and burn as well.